I rarely do food stall or places to eat in food court. Deep inside, I think my biased has to do with the fact that it's all about quick and easy. Hence, probably never that good in the first place. Hot Dogs on a stand, yup. Grilled chicken with teriyaki sauce? Simple enough. Chinese food that looks like it is sitting out too long? Check. Sub Sandwiches.. pizza... wings.. and burgers. I'm sure you got the point. In a fascinating twist, I was following a blogger who loves all things taco and had a menu item named after him. 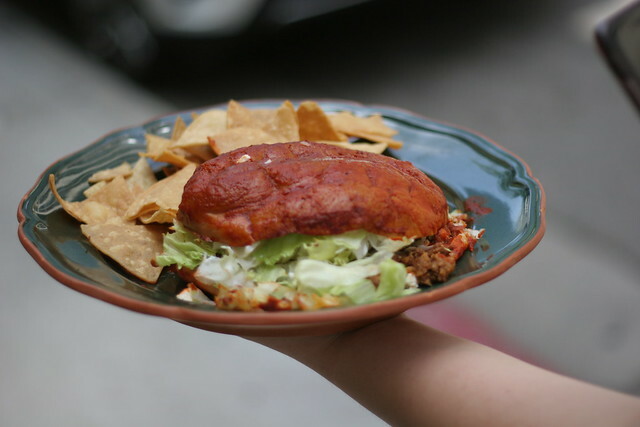 This unique crunchy taco was called Let's Go Grub Tacos (obviously named after himself) is taken a place at food court of a destination shopping center in the Fashion District area of the downtown area. 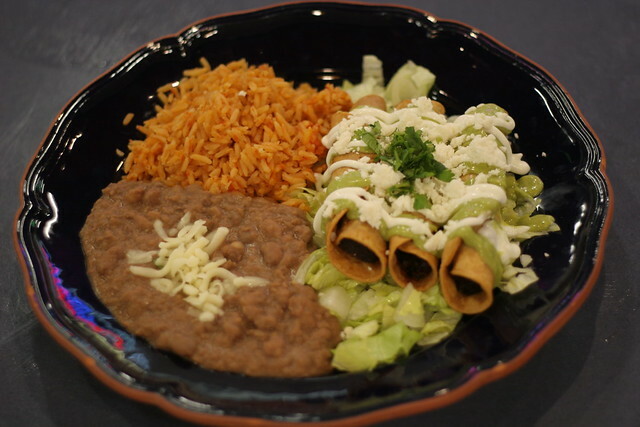 Cilantro Lime is a no-nonsense type of Mexican fare that catered to the bustling part of the downtown area where the clientele are of the hustle and bustle. You can tell by this part of the town where a tons of actions take place. I forgot about the wholesale businesses are centered in this part of the town and there were tons of negotiations of prices and merchandise being discussed. With that in mind, you probably think Mexican street food or something where street carts are the norm here. You're not to going to be wrong, but Cilantro Lime is here to elevate that and provided with some fun twist. 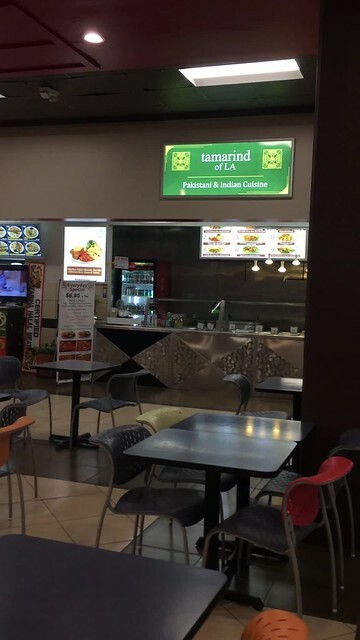 Looking around the shopping center where the food courts are located right in the middle of that indoor plaza center, I can see many various type of ethnic cuisines. 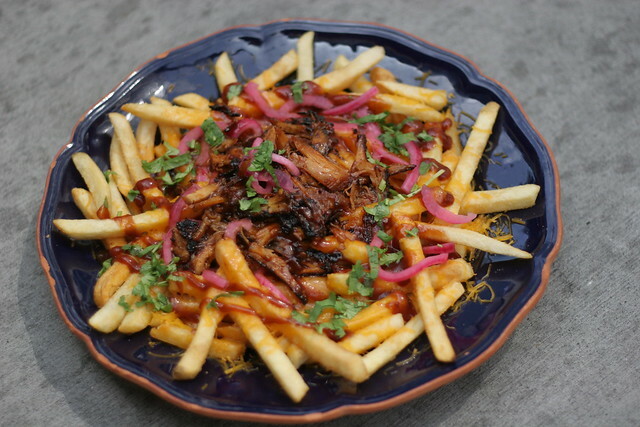 A few of selections of Pakistani, Vietnamese and other Asian cuisines are in order. This somewhat surprised me, but I have always known our neighbors to the south have an affinity for this type of grub where some of the influences matches on what they had growing up. Yes, pho and kabob are popular here. If the street fare can be had anywhere, where does Cilantro Lime stands? 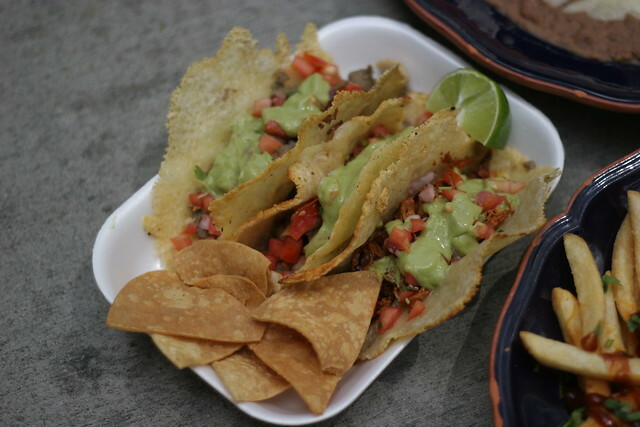 If you ever get a good look of their homemade tacos and taquitos, you can already tell they are aiming for the people who are looking for the essential familiar food. What stands out are the quality and taste. Reminds you of the homey down to earth comfort food many enjoy, but get eye pleasing presentation as well. The dish I came all the way to visit for was the Let's Go Grub Tacos. Named after a big named Instagram pal of mine who I followed (as you can tell, Let's Go Grub), where it amassed a delicious taste not just in meat, but in this unique deep fried shell. Oh, the loaded Carne Asada fries and taquitos are bomb as well. If there is one dish I would highly recommend for people to absolute try is to get the Pamboza. Think of it as a wet torta sandwich. Absolutely amazing when you cut into it and get a good bite into that wet bun. 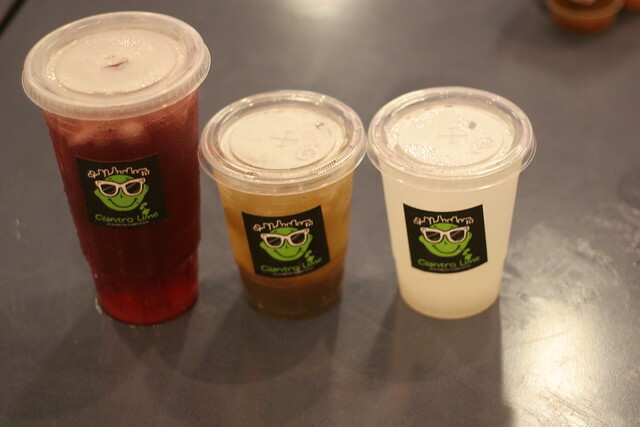 It goes well with the aqua frescas drinks they have in stored. Now, if there is one emergence theme about coming here to try a place at a location I rarely ventured out to, was the fact that many of these places are worth trying but sometimes need to pointed out. This restaurant obviously not only catered to the people who worked in the area, but lovers of good Mexican fare as well. Here's hoping for more retail centers opened up to draw in more foot traffic. I think this fantastic place shouldn't be hidden for long.